In March 1796, Napoleon Bonaparte – then a relatively unknown French general – was appointed commander of France’s Army of Italy. His orders were to invade northern Italy and occupy Lombardy, an Austrian possession. The French Directory thought this would compel Austria to move troops away from the Rhine, where France was fighting against Austria and its allies in the War of the First Coalition. 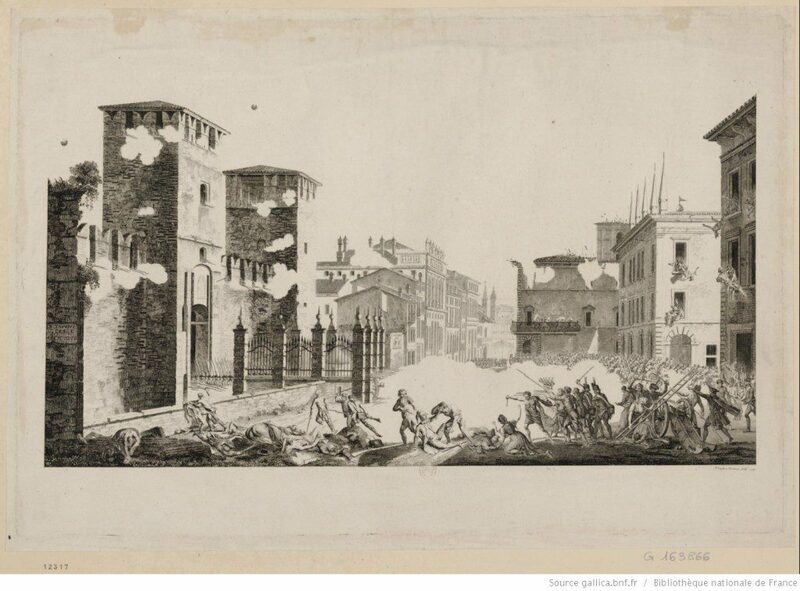 In June 1796, Napoleon’s army reached Verona. The town was part of the Republic of Venice, which had proclaimed its neutrality in the war. There was considerable friction between the inhabitants and the French soldiers, who behaved more like occupiers than guests. The devout Veronese opposed France’s Jacobin political ideology. The French fomented a number of incidents on Venetian territory, hoping to engineer the creation of a Jacobin government that would ally with France. By March 1797, Napoleon was advancing into Austria. He wanted to keep his Italian conquests and had in mind offering Austria a dismembered Venice as compensation for her lost territory. He sent a spy to Verona to meet with the Jacobins there and attempt to overthrow the town’s government. On April 11, the plot was uncovered. Some of the conspirators were arrested. [P]easants, taking advantage of the [Easter] festival, crowded into the town and mixed with the townsfolk and the Slav soldiers who still garrisoned the town, clogging the streets and the squares. Around midday, all of a sudden, upon a signal given by whistle blasts, this mob fell upon the French, attacked our isolated outposts, and massacred the guards. Our sick and wounded, who filled our hospitals, had their throats slashed with daggers. The bodies of the murdered French were thrown into the Adige River. The murderers spared neither women nor children. Some of the French were able to reach the forts we occupied. Others sought shelter in the palace of the Venetian magistrate, who granted them asylum, no doubt to preserve the appearance of neutrality should the assault fail, for he did nothing to stop or calm the insurgents. Once they were masters of the town, the insurgents assaulted the forts, using cannons in the attack, which proves that the Venetian soldiers were on their side. They captured one of our forts and murdered the garrison. The others repulsed them with a hail of bullets; they fired on the town as well. The general in command at Verona, though surrounded, was still able to warn General Kilmaine and ask for help. We left for Verona with the Lombard legion. After a battle outside the town against the peasants and the Slavs, we scattered them and, as we pursued them, put them to the sword pitilessly. The town was burned. These Veronese people are as cowardly as they are savage. We entered the town unopposed. Our soldiers were furious. They killed everyone who showed any resistance. They wanted to sack the town. It was only with great difficulty that the pillage was stopped, but it was not possible to save the pawnshop. The magistrate and the Venetian authorities vanished. Napoleon ranged his heavy artillery around Venice and blockaded the harbour with his warships. On May 12, 1797, the Great Council of Venice voted to dissolve the thousand-year-old republic and surrender the city to Napoleon. Napoleon handed Venice to Austria in the Treaty of Campo Formio, but only after looting the city. 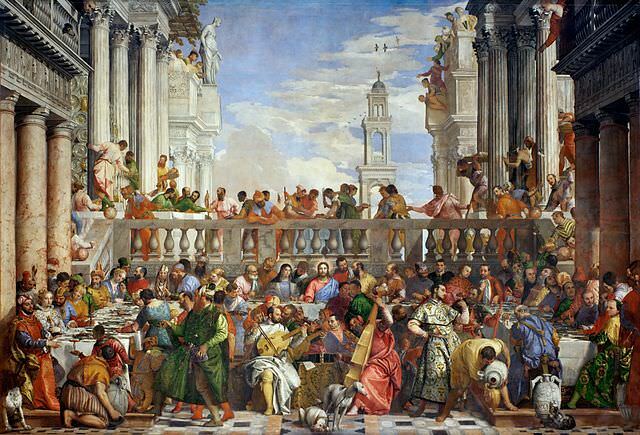 Among the many treasures sent to Paris were the four bronze horses of St. Mark’s Basilica (returned to Venice after Napoleon’s 1815 defeat) and The Wedding at Cana by Paolo Veronese, which remains in the Louvre. Napoleon in a letter to the Directory, May 3, 1797, quoted in Louis Antoine Fauvelet de Bourrienne, Private Memoirs of Napoleon Bonaparte, during the periods of the Directory, the Consulate, and the Empire, Volume 1 (Philadelphia, 1831), p. 58. Jean-Nicolas-Auguste Noël, Souvenirs militaires d’un officier du premier Empire (1795-1832) (Paris, 1895), pp. 11-12. Private Memoirs of Napoleon Bonaparte, during the periods of the Directory, the Consulate, and the Empire, Vol. 1, p. 57. Philip Dwyer, Napoleon: The Path to Power (New Haven & London, 2007), p. 294. Barry E. O’Meara, Napoleon in Exile; or A Voice from St. Helena, Volume 2 (London, 1822), p. 355. Private Memoirs of Napoleon Bonaparte, during the periods of the Directory, the Consulate, and the Empire, Vol. 1, p. 58. I would surmise that the “Private Memoirs of Napoleon Bonaparte, during the periods of the Directory, the Consulate, and the Empire” of 1831 – are likely to be a falsification, of dubious quality. No such work is known to be an official source. 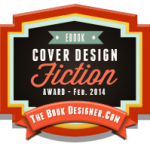 Could you give some explanatory comments on this book? Louis Antoine Fauvelet de Bourrienne was Napoleon’s childhood friend, from the military academy at Brienne, who later became Napoleon’s private secretary. His multi-volume memoirs of Napoleon – based on the extensive notes and documents Bourrienne supplied to a ghost writer – were first published in 1829. The French historian Jean Tulard (an expert on Napoleon) says that they supply “some useful information.” Napoleon’s letters to the Directory quoted in my post can also be found in Napoleon’s official correspondence (Correspondance de Napoléon Ier, Vol. 3, pp. 13 & 26: http://gallica.bnf.fr/ark:/12148/bpt6k6319350x). Bourrienne is an unreliable witness as his ‘memoirs’ were not actually written by Bourrienne himself. A publisher named Ladvocat ‘installed’ Bourrienne in a small room to write his memoirs, but all Bourrienne produced were some notes upon which the first two volumes of his ‘memoirs’ were based. The other eight volumes were ghost-written by Maxime de Villemarest who was ‘a failed diplomat turned journalist.’ Bourrienne died in 1834 in an insane asylum. He was sacked twice by Napoleon for extortion and embezzlement. In 1830 Comte Boulay de La Meurthre headed a group who in the 720 page volume Bopurrienne et ses erreurs pointed out the factual errors in the alleged ‘memoirs.’ Using Bourrienne as a source is ‘iffy’ at best for they are mendacious and definitely are biased against Napoleon. What the ghost-writer didn’t know he made up. And it should be pointed out that de Villemarest was an admirer of Talleyrand (another who was sacked for avarice by Napoleon) and wrote a ‘biography’ of him. Thanks for these details about Bourrienne’s memoirs, Kevin. There are differences of opinion about how useful his memoirs are; as Tulard says, they cannot be entirely discarded. In any case, of the quotes I have used from Bourrienne in this article, two are from letters that appear in Napoleon’s official correspondence (which was authorized by and edited — favourably to Napoleon — by his nephew Napoleon III), and the third provides a corroboration of other eyewitness accounts of the massacre of the French in Verona. If Bourrienne is mendacious in this case, it may be in overplaying the extent of the violence against the French. The historian Philip Dwyer, for example, believes that the number of French killed was “probably closer to a few dozen” than four hundred. But the trick when using suspect references is to know what is accurate and what is not. And that is difficult if not impossible with mendacious and suspect memoirs such as Bourrienne’s. Vincent Cronin has done excellent work evaluating memoirs in an appendix to his biography of Napoleon which is one of the best available. Further, I don’t put much trust in Dwyer’s work. For what Napoleon did or didn’t say, it is best to go to his Correspondence to ensure what has been quoted is not taken out of context. I agree, Kevin, thus the link to the Correspondence above. As for Dwyer’s two-volume biography of Napoleon, Rafe Blaufarb (Director of the Institute on Napoleon and the French Revolution at Florida State University’s Department of History) calls it “the gold-standard account of the Napoleonic adventure” (see http://www.historynet.com/mhq-reviews-napoleon-in-power.htm). Reviewing a number of Napoleonic biographies last year, Charles Esdaile (a history professor at the University of Liverpool who specializes in the Napoleonic era) noted that Dwyer’s work “for the time being at least must be judged to remain the standard text” (http://www.history.ac.uk/reviews/review/1707). Have never seen a definitive list of what is still in the Louvre after the ‘looting’. Would be interested to know about the process of returning them, and why some work was not included. Owen Connelly mentions the issue in his book Napoleon’s Satellite Kingdoms and states that many of the so-called ‘looted’ works were legitimately purchased by the French government and still belong to France. Some that could be considered ‘stolen’ remained in France also as Louis XVIII did not want to offend the French people by returning them. Alexander I purchased hundreds of works as the allies could not decide in 1814 which works had been legally seized during the course of the wars. There’s an excellent summary of the Napoleonic art theft and its complicated aftermath in the December 2008 issue of the University of Pennsylvania Law Review: https://www.pennlawreview.com/print/old/Goodwin.pdf (with thanks to Søren Kruse for drawing this article to my attention). Publiés en 1829, ces mémoires firent sensation. Ils ont été depuis cette date, constamment utilisés par les historiens de Napoléon, surtout pour la jeunesse de Bonaparte. Ils appellent pourtant de graves réserves. Ils auraient été composés sous le ministère Martignac, après l’élimination de Bourrienne de la vie politique. En réalité, selon Méneval qui connaissait bien Bourrienne, celui-ci victime d’embarras financiers et déjà malade, a simplement consenti ‘ à couvrir de l’authorité de son nom des mémoires à la composition desquels il n’a coopéré que par des notes confuses, incomplètes, pièces que des hommes de lettres furent chargés de mettre en oeuvre ‘. Ces rédacteurs ont dû suppléer à l’insuffisance de ces notes par leurs propres recherches et à l’aide de documents qui leur ont été fournis par l’éditeur Ladvocat. Ainsi la célèbre bataille de boules de neige à Brienne a-t-elle été empruntée, non aux souvenirs de Bourrienne, mais à la traduction française par Bourgoing d’une brochure anonyme anglais, “Quelques notions sur les premières années de Bonaparte.” D’autres emprunts proviennent de Salgues (Mémoires pour servir à l’histoire de France). Certains documents, comme la lettre de Christine (sic) Bonaparte, semblent apocryphes. L’auteur serait Charles de Villemarest, qui fut attaché au cabinet de Talleyrand. De là les éloges adressés au prince de Bénévent dans le cours des “Mémoires.” La maladie empêche Bourrienne de contrôler les affirmations de Villemarest. Est-ce à celui-ci ou à Bourrienne que l’on doit attribuer les insinuations malveillantes à l’égard de Napoléon et de son entourage? Published in 1829, these memoirs created a sensation. Since that time they have been used constantly by the historians of Napoleon, especially for the youth of Bonaparte. They however call for serious reservations. They would have been composed under the Martignac ministry, after the elimination of Bourrienne from political life. Actually, according to Méneval who knew Bourrienne well, this victim of financial embarrassments and already ill, simply agreed ‘to lend the authority of his name to the memoirs, the composition of which he cooperated only by supplying the confused notes, incomplete, that men of letters were hired to use.’ These writers had to compensate for the insufficiency of these notes by their own research and using documents which were provided to them by Ladvocat, the editor. Thus the celebrated battle of the snowballs at Brienne was borrowed, not from the memoirs of Bourrienne, but from the French translation by Bourgoing of an English anonymous pamphlet, “Quelques notions sur les premières années de Bonaparte.” Other borrowings came from Salgues (“Mémoires pour servir à l’histoire de France”). Certain documents, such as the letter of Christine (sic) Bonaparte, seem apocryphal. The author is Charles de Villemarest, who was attached to the cabinet of Talleyrand. From there arises the praise addressed to Prince de Bénévent [Talleyrand] in the course of these “Mémoires.” His illness prevents Bourrienne from controlling the assertions of Villemarest. Is it with Villemarest or Bourrienne that one must allot the malevolent insinuations with regard to Napoleon and his entourage? “Villemarest, Charles-Maxime de, 1758-1852, littérateur. Le plus célèbre des ‘teinturiers’, les fabricants de mémoirs de la Revolution, du Consulat et de l’Empire à qui les acteurs de ces années-là, qui ne voulaient ou ne pouvaient écrire eux-mêmes. confièrent de vive voix ou par écrit les éléments de leurs souvenirs. Élève au Prytanée, remarqué par Bonapate, il fut attaché au cabinet de Talleyrand et, en 1813, devint secrétaire du prince Camille Borghèse….Parmi les mémoires qu’il rédigea en partie ou en totalité, certains sont devenus célèbres, aussi intéressants que suspects: ceux de Mlle Avrillon, première femme de chambre de Joséphine, de Constant, premier valet de chambre, et de Bourrienne, secrétaire intime de Napoléon.” From a dictionary of French literature. Most famous of the “teinturiers”, these manufacturers of memories of the Revolution, the Consulate and of the Empire to whom the actors of those years, who did not want or could not write themselves, entrusted of sharp voice or written the elements of their memories. Un fameux littérateur et “teinturier” (1785-1852), auteur – en partie – d’un grand nombre de mémoires d’Empire, diplomate sous le Consulat, secrétaire du prince Borghèse en 1808, et journaliste sous la Restauration. On imagine sans peine à quel point le talentueux et prolifique Villemarest, maintenant fidèle aux Bourbons, s’acharne avec virulence contre la Révolution, sans trop ménager non plus l’empereur Napoléon, son bienfaiteur d’autrefois englouti par l’histoire. C’est justement ce regard “opportuniste” sur un passé récent qui donne tout son prix à ce recueil de “vrais faux souvenirs”. A famous literary man and “teinturier” (1785-1852), author – partly – of a great number of memories of Empire, diplomat under the Consulate, secretary of prince Borghèse in 1808, and journalist under the Restoration. One imagines without sorrow at what point the talented and prolific Villemarest, now faithful to the Bourbons, is baited with virulence against the Revolution, without sparing either the emperor Napoleon, his benefactor of formerly absorbed by the history. It is precisely this “opportunist ” glance on a recent past which gives all its price to this collection of ” truths false memories “. Thanks, Tom. This is very helpful re. Bourrienne’s memoirs. I would also refer those who are interested to Max Sewell’s excellent article entitled “The Truth About Memoires” on the Napoleon Series website, which summarizes the credibility of a number of the Napoleonic era memoirs: http://www.napoleon-series.org/research/eyewitness/c_truth.html. Susan Howard and I have disagreed over Cronin and other subjects of the period for years. I’ll let that subject be. Suffice it to say that we both have different opinions of Cronin’s work. John Elting, still the authority on the Grande Armee, thought that Cronin’s biography was useful and very helpful. 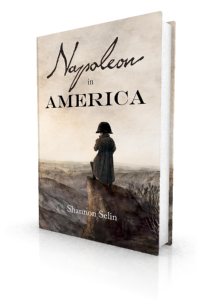 Cronin was among the first to give a view of Napoleon the man. JC Herold gave an astute viewpoint on Napoleon in his The Mind of Napoleon. Fain’s memoirs are also very helpful and they were written after Napoleon’s death. Both Dwyer and Esdaile are not admirers of Napoleon and their view is tainted in that direction. Michael Broers, JM Thompson, Andrew Roberts and John Elting have a different perspective and one I believe comes much closer to the mark. Robert Englund’s biography is also excellent. Thanks for the suggestion, Kevin. The topic of Napoleonic biographies is certainly one on which people have strong opinions, with favourites usually based on how strongly (or not) one admires Napoleon. Cronin and some of the other authors you’ve mentioned are notable admirers of Napoleon, so one might say their view is “tainted” in that direction. I agree Stephen Englund’s biography is excellent. The Napoleonic Wars Forum (http://www.napoleonicwarsforum.com/) provides a great venue for discussion of this and other topics, as does the Napoleon Series Discussion Forum (http://www.napoleon-series.org/cgi-bin/forum/webbbs_config.pl). Thanks very much for the recommendations but I am already a member of both forums. I have enjoyed your postings on The Napoleonic Wars Forum. Thanks, Kevin. I was pretty sure you were a member. I was thinking the forums might be of interest for those who might be following our discussion and are wondering where they can go to read more opinions of Napoleonic books and participate in those discussions. Very interesting, Shannon, thanks for the insight from all posters too. Thanks, Randy. Glad you enjoyed the post. ‘Death to Frenchmen! Death to Jacobins!’ were their rallying cries.